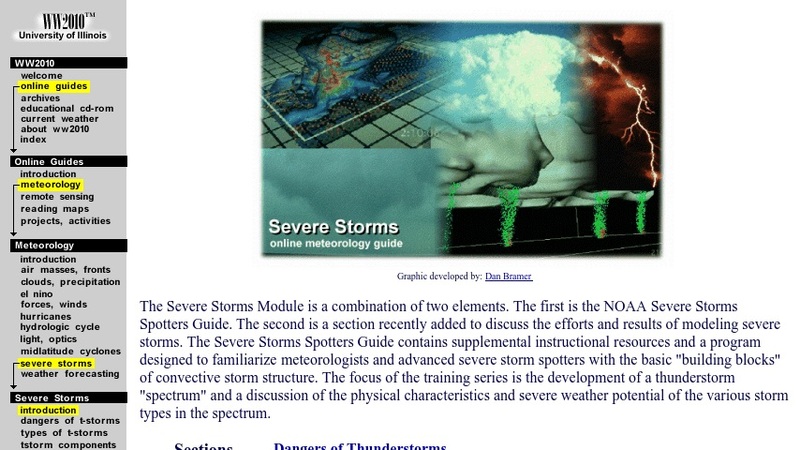 In this module, students learn about the physical features, properties, and hazards associated with thunderstorms. Topics include dangers associated with thunderstorms, types and components of thunderstorms, and tornadoes. An additional section discusses the use of computer modeling to understand the formation and lifecycle of storm systems and in forecasting severe weather. Links to additional information are embedded in the text.